The FX-4KNVR108-P is an 8 channel NVR with 8 Independent 100M PoE ports. Up to (4K) 8MP recording resolution with 50 Mbps recording bandwidth. 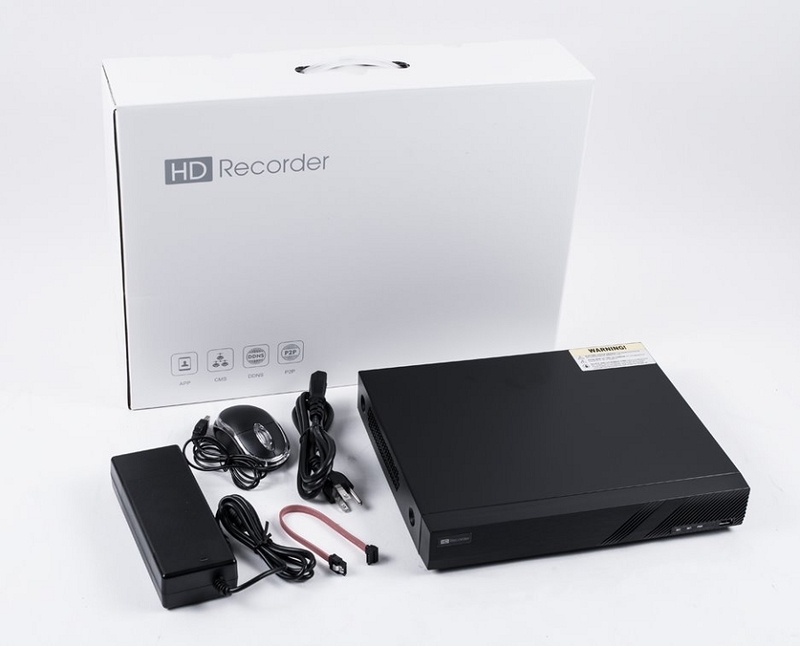 The NVR also supports H.265 and H.264 compression for maximized recording time and playback quality along with 1 Internal SATA port that allows for up to 6TB of storage. This full featured NVR has a broad ONVIF compliance allowing for compatibility with a nearly all IP brands. The FX-4KNVR108-P supports NAT functionality and easy QR code scanning for mobile device setup. The FX-4KNVR108-P is a standalone NVR and doesn't require any computer for access or configuration. Using the HDMI output and the included USB mouse users have full control over configuration, playback and backup and the graphical user friendly interface makes setup quick and easy. Plug & Play allows for quick adding of devices to your network and remote viewing and playback is supported for all Android (3.0 or later) and iOS (8.2 or later) mobile devices through G4-FLX-VMS app. Desktop control for PC and Mac through Flux CMS or IE browser for Windows PC. Dimensions 11.8” x 10.6” x 2.2"